As more industries are impacted by volatile changes to the business landscape, we’re seeing a significant rise in the role of the Chief Strategy Officer. It’s a position that has become far more prevalent in the C-suite within the last decade – often under the guise of a head of strategic planning – but is seeing increasing activity as the economy continues to strengthen. Confronted with trends in digitalization, globalization, ever more stringent government regulations, and increasingly complex supply chains and organizational structures, executive leaders are being pressured to continuously develop and implement more robust strategy in order to respond, adapt and get ahead. That’s where the role of the Chief Strategy Officer comes into play. Traditionally, strategy hasn’t been perceived as a core function or skill, but rather as a capability or competency of the leadership team. Thus, corporate strategy has often been spearheaded by the CEO or the CFO, occurring on a periodic basis, with companies bringing in outside consultants to help guide their strategic thinking. There’s a reason the CEO and leadership team of a company are typically the ones to create corporate strategy. They have the depth of experience, the insight, and the big picture perspective to determine avenues for business growth and sustainability. The resulting strategy might be spot on, but when passed down the line to managers and frontline employees, the vision frequently becomes opaque and inaccessible. And that’s the fast track to status quo. Furthermore, with the overwhelming pace of change of business today– and the extent to which these changes impact different functions within the organization – the realization is that strategic planning and implementation is a full-time job, requiring more discipline, structure, and rigor behind the function. Enter the Chief Strategy Officer. The job of the CSO, then, is to clarify the vision and communicate it to the masses in order to achieve and sustain execution of the strategy. Every business unit must share the vision and understand the gravity of the decisions involved and the discipline required to create change. Essentially, it’s about transparency and accountability. The core responsibilities of the Chief Strategy Officer are as unique as the company they serve. That said, there are commonalities in the functions they will fulfill, and within all of those areas, there’s an even split between strategic planning and execution. 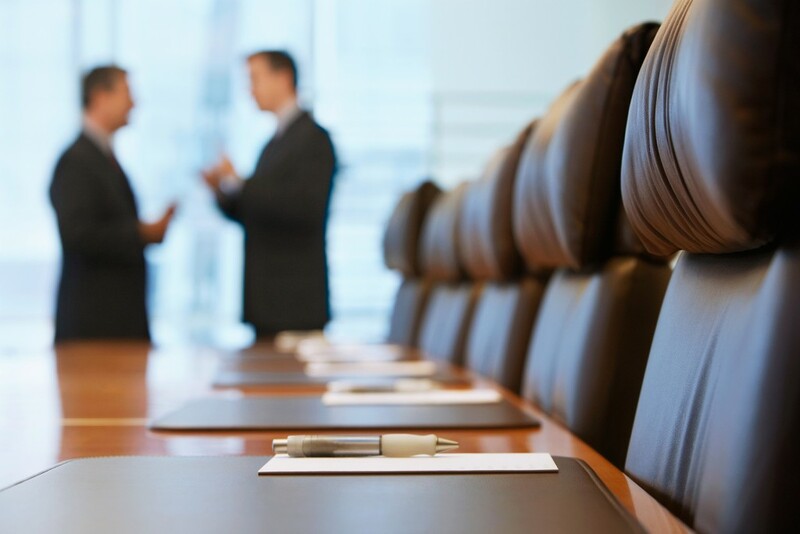 In most companies, the CSO works closely with the CEO, the Senior Leadership Team and, often times, the Board of Directors to develop the corporate strategy and guide the business through the strategic planning process. This is in addition to ensuring the business remains aligned with the overarching corporate strategy. Primarily, the CSO will focus on building emerging business strategy with a 3-5 year perspective. Equally important, however, is a focus on guiding long term (5-10+ years) strategy for a viable future, as well as sustaining the current core business in the short term (1-3 years). Over the course of the year, the CSO will continually evaluate, present, manage, and execute strategic initiatives and market opportunities that best support the company’s short-term and long-term strategies. These opportunities may include: targeted mergers, acquisitions, brand or product-line enhancements, capital expansions, restructuring, strategic alliances and partnerships, joint ventures, operational investments, and possible portfolio divestitures. According to a report from the Harvard Business Review, people in this role rarely come from predictable backgrounds. They aren’t out there climbing the linear path of the corporate ladder. However, it’s not uncommon that senior-most strategy leaders are former senior consultants (often partners) of top-tier strategy consulting firms such as McKinsey, Bain & Co, Boston Consulting Group, or others. These are individuals who have decided to leverage their many years of client management to seek success in strategy roles within the C-Suite – often for one of their former clients. In many other cases, CSO’s are experienced executives who have worn multiple hats and have built their experience across a breadth of functions, whether it be in marketing, finance, acquisitions, technology, communications, or elsewhere. Earlier career stints with leading consulting firms are also common, providing them a core set of strategic problem-solving skills. In either case, their backgrounds gave them a broad perspective of the challenges and opportunities facing companies today. High intellectual capability and an authoritative ability to solve complex business problems are must-haves in this role. However, strategic planning is only half of the job; executing that strategy is vital, which means they need to have functional capabilities and the leadership capacity to work and communicate effectively with people across the entire organization. Beyond experience, Chief Strategy Officers must be pragmatic, analytical and tactically persuasive. Fast and smart decision making is critical, as is agility and flexibility. If new to the organization, this is a role that is frequently met with skepticism, both from the senior team and the frontline workforce. This requires an influential individual who is practiced in getting buy in, can convey authority, and inspires honest and practical feedback from the people on the ground. When met with challenges, this is an individual who will immediately ask questions and re-evaluate decisions with speed and discernment. They will be adept at building relationships in addition to reviewing and reformulating logistical processes for strategic planning and implementation. In short, this is a person whose broad experience grants them a diverse array of skills. It’s a rare breed, to say the least, but they’re the ones who can genuinely drive an organization to greatness. Considering the intellectual horsepower and the internal drive of the strategy leaders, CSO’s often have one eye on the business and the other on a path to P&L ownership. Many companies realize that the exposure these leaders gain into the guts of the business and competitive landscape gives them the inside track to run a business. Thus, these companies are using the strategy function as a funnel for future leadership within the business. In fact, if this path is not present, external candidates evaluating the opportunity may not consider making a move. So where can we find the best candidates for the CSO position? Many of the best strategists in the world are sitting within the top tier consulting firms, or are perched at the top of some of the most successful Fortune 500 companies. Finding them is not the hard part; engaging and recruiting them most certainly is. Individuals for this role are significantly more challenging to source and recruit than many other executive positions. They are unlikely to be actively looking for new opportunities. Instead, an extensive network and connections to key players are the best route to scout out talent. At Slayton Search Partners, we’re seeing the role of the Chief Strategy Officer grow increasingly prevalent at thriving companies of all sizes. If you’d like to further discuss the role of the CSO or other key executive leaders, just reach out to let us know how we can help.